It appeared on newsagent shelves in September of 1916, and cost a shilling. 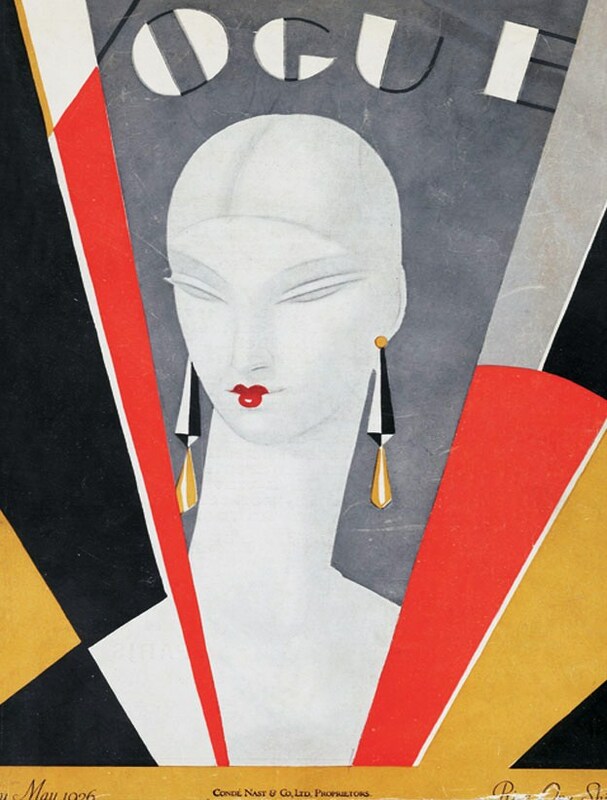 The first ever issue of British Vogue promised its readers that ‘really and truly, such amazing things are going to happen to you that you would never believe them unless you saw them in Vogue.’ Not bad for a mission statement. And proof that the images we see today when we flick through an issue of Britain’s monthly fashion bible, in all their grandiose, unabashed glamour, and often playful surrealness, are not simply a product of our dangerously image-obsessed age, but a founding principle that its editors, writers and above all photographers have abided by for an entire century. At first it might seem strange that something founded in the fantastical and the magical should begin its life right as the battle of the Somme was raging on the western front. It turns out that Condé Nast, the publishers of American Vogue – which had been running since 1892 – were finding it difficult to get their magazine to a British audience due to wartime restrictions on shipping, and decided that a British version would solve the problem. And as it transpired, the very fact that the British public had endured two long years of harrowing news since the outbreak of war was what attracted them to Vogue it its early years. It is that same desire for escapism felt by British Vogue‘s first readers that continues to be so central to its appeal today. But this is not to say that Vogue was oblivious to the events of the world and neglected to shine any light on them. During World War two, it was an American former model for the magazine, and later a student of the legendary photographer Man Ray, Lee Miller, who became not only a war photographer but Vogue’s war correspondent, reporting from the front line. In one of the more surprising and interesting sections of the exhibition, we see her article about the Alsace campaign in the war’s closing days, many of her photographs of soldiers on the front line, as well as images from the home front, including for certain the most stylish-looking women tending to a vegetable patch that I’ve ever seen. Cecil Beaton, who would go on to create the Queen’s coronation portraits, was another Vogue photographer who travelled to war zones. There is one image by Beaton on display that seems the embodiment of the kind of morale-boosting sentiment that the magazine was trying to put out during the war’s darkest days. 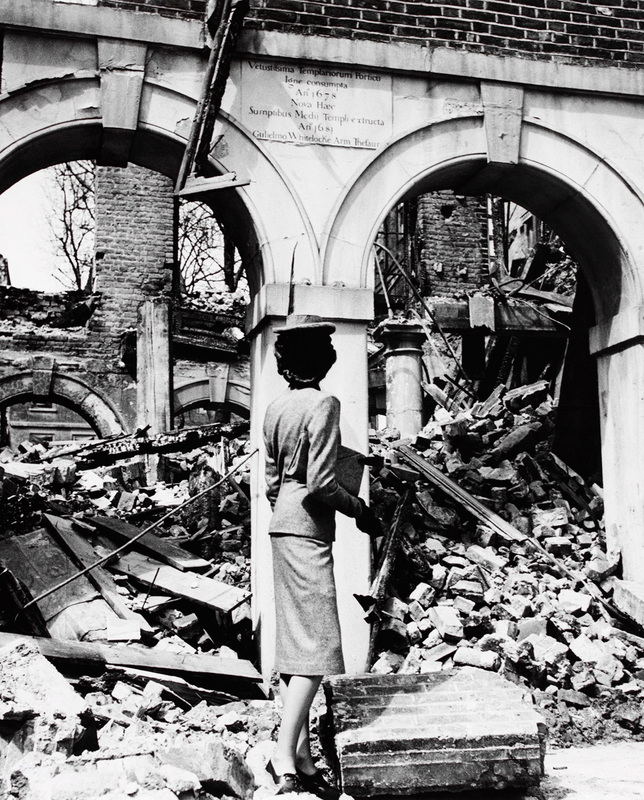 In ‘fashion is indestructible,’ an immaculately dressed woman stands on a pile of rubble, gazing up at the ruins of a house destroyed in a bombing raid, her upright pose strikingly defiant. Somewhat strange too, at least at first, is the exhibition’s reverse-chronological layout. After an introduction featuring highlights from the whole century, we enter the 00s and 90s rooms first. 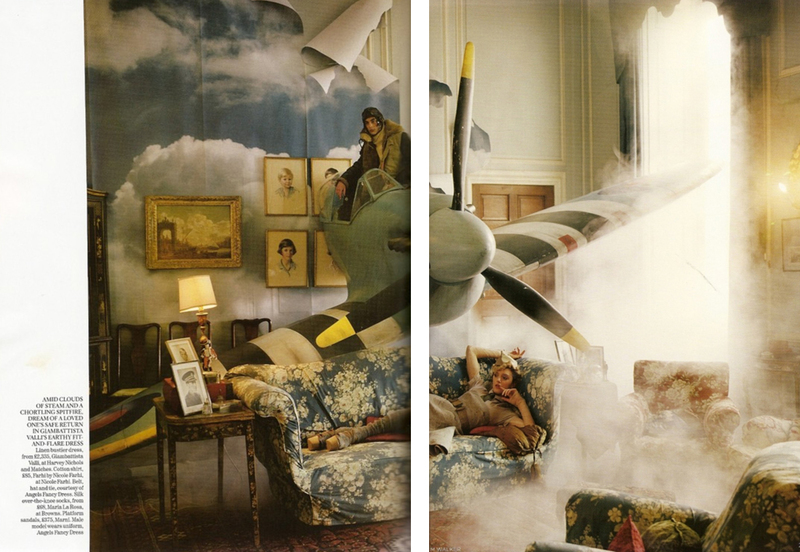 We then proceed through a series of rooms, one of each decade, each celebrating the designers, the models and the photographers who not only dictated what the pages of Vogue would look like that decade, but what that decade would go on to look like in the rose-tinted imaginations of both generations who lived through it and those that came later (I, for instance, form an imagined picture of most people who inhabited Britain in the 1960s through a David Bailey camera lens!). For the most part, it does not seem to matter what order a visitor proceeds through these decades, such is the separation between their different styles. There were a great many pictures here I had seen somewhere before, most likely in a documentary about a certain decade, which I had no idea had come from Vogue, such as Ronald Traeger’s shot of Twiggy riding a motorised scooter and David Bailey’s portrait of Margaret Thatcher. One of my favourites was a Tony Armstrong Jones photo of a couple – Mr and Mrs John Taylor – waving excitedly out of the door of a Comet aircraft about to depart for New York, perhaps on their honeymoon. The shiny chrome of the futuristic, almost space-age aircraft (as much a British icon as any of the models, musicians or actors in this exhibition) along with the stylish suit and hat of the man and dress of the woman, and the sheer exuberance on their faces, all makes for a perfect snapshot of a gorgeously romanticised fifties Britain. Seeing photographs printed so large, showing off their rich and vivid detail, is a joy in itself. Some are so big they have the effect of being able almost to step inside them, as well as allowing viewers to notice small details in the background or the foreground that one would never pay attention to on the page of the magazine. In the case of a lot of the older prints, on display are the photographs in their rawest and purest form, often slightly marked or creased around the edges, allowing us to see what the photographer would have seen in their darkroom, before an editor had got their hands on it. There is one section where instead of prints on the walls we get glass cabinets displaying old copies of the magazines themselves. A little more British Library than National Portrait Gallery, I particularly enjoyed this part of the exhibition, made up of two long rows of Vogue issues spanning its 100-year history, some with their covers displayed and others open at particular articles. There are some fabulous examples of early illustrated covers, like Eduardo Benito’s wonderful art-deco era designs. And there was one cover from 1946, the first I could find featuring the famous Vogue typeface still on use today, that looked truly timeless. Irving Penn’s black and white shot of Jean Packett in a scarf and hat could quite easily grace a cover from the fifties, sixties, or perhaps even today. Equally timeless, it seemed, was the content of the magazine’s articles. So the language and the turn of phrase may have changed over time, but the themes do not. I couldn’t help putting on my social historian hat at this stage of the exhibition, and try to spot glaringly obvious examples of outdated patriarchal attitudes, or articles about subjects that simply wouldn’t be seen in any magazine, let alone Vogue, today. But I was surprised to find that I found none. Except for perhaps a mention on the December 1943 cover of ‘seven pages of presents to make’, most of the editorials concerned grooming, styling, fashion trends or interviews with artists and celebrities. 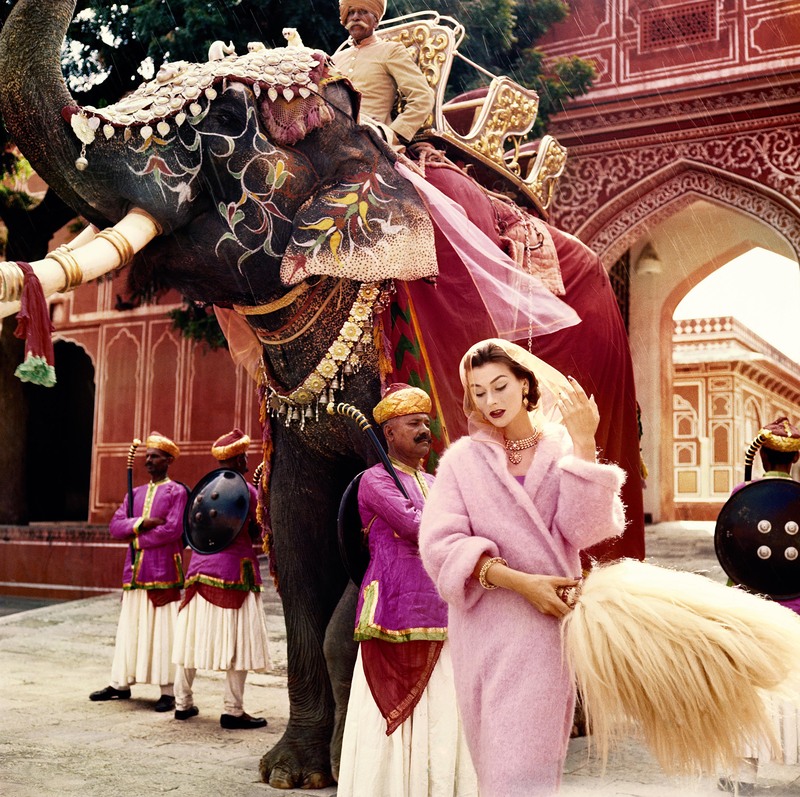 It seems that even during a century of change as remarkable as the 20th century, that the topics that the readership of Vogue want to read about have changed relatively little. Of course, regular readers of Vogue and those with an interest in fashion and the history of fashion will find this exhibition truly enchanting and utterly enthralling, and would be stark raving mad to miss it. But I would also highly recommend it also to those with less of an interest in fashion but who do have an interest in British popular culture of the twentieth century. For besides all the clothes, the supermodels and the strange and spectacular backdrops, this is above all a fantastic collection of portraits that seems to include practically every significant British cultural export of the past hundred years, from Naomi Campbell to Princess Diana, from Charlie Chaplin to Alexander McQueen, from Boris Johnson to the Beatles. Vogue 100: A Century of Style runs at the National Portrait Gallery until 22nd May 2016. Tickets cost £17 and can be purchased here. Tags: Alexander McQueen, American, art deco, Boris Johnson, Britain, Cecil Beaton, Comet, Condé Nast, David Bailey, Eduardo Benito, exhibition reviews london, exhibitions London 2016, fashion, Irving Penn, Lee Miller, Margaret Thatcher, Naomi Campbell, photograph, photographer, Princess Diana, Ronald Traeger, the Beatles, Tony Armstrong Jones, Vogue, Vogue 100, Vogue 100 a century of style review, Vogue exhibition national portrait gallery, Vogue exhibition review, World War One, World War Two. Bookmark the permalink. Really love this review of the Exhibition! Can’t wait to go now! !